The Public Interest & Accountability Committee (PIAC) has advised the Ghana Revenue Authority (GRA) to ensure that all outstanding annual surface rentals owed by licensed companies operating at Ghana’s oil production blocs are paid with interest. PIAC, in its 2016 report launched recently, said only five out of the 18 licence holders paid surface rental during the period under review. It also suggested that government should impress upon the Jubilee Partners to expedite work on the gas export infrastructure on the TEN Field since approximately 72 percent of the gas produced on the TEN Field was flared compared to approximately 23 percent and 6 percent that was re-injected and used as fuel for the FPSO respectively. It called on the Bank of Ghana and the Ministry of Finance to seek expert advice on hedging and consider undertaking hedging activities as part of strategies to mitigate Ghana’s exposure to commodity price risk/volatility associated with future oil production. 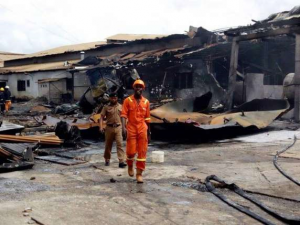 GNPC needs to be encouraged to procure a Loss of Production Insurance (LOPI) or Business Interruption Insurance if it does not have one already. Similarly, PIAC said GNPC should not be bearing the cost of the ITLOS litigation on behalf of the State and that such expenditure should be charged either on the Consolidated Fund or Contingency Fund. There was a 56 percent increase in the amount of money spent contesting the Maritime Boundary Dispute with Cote d’Ivoire at the ITLOS with expenditure rising from US$1.81 million in 2015 to US$2.83 million in 2016. An amount of US$7.58 million was again spent on the Western Corridor Road Project. Furthermore, it said GNPC should disclose steps it was taking to retrieve the US$50 million it loaned to the Ministry of Finance in respect of the Western Corridor Roads. Actual petroleum receipt in 2016 of US$247.18 million was 29 percent lower than the budgeted amount (US$348.42 million) and translates to 38 percent year-on-year decline in annual petroleum revenues when compared to the 2015 receipts of US$396.17 million. Except for CIT, which exceeded target, none of the other sources of petroleum revenues achieved set targets.